I’m like an old granny…”What’s that new-fangled contraption you got there?” (an iPhone.) Well, that’s an exaggeration, but not far off the mark. I’m a foot dragger when it comes to doing/learning new things. Like technology. 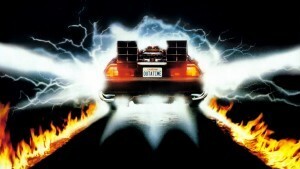 Technology….well, to be honest, electronics in general…intimidate me. Hand me a phone, tablet, or laptop, and I think either it’s the all powerful wizard behind the curtain who can grant any wish my heart desires, or I plunk out the basic tasks I’ve been using technology for in the last however-many years, never utilizing any capability higher than looking up recipes or checking email. That’s not to say technology hasn’t been life-changing for me, it has! I now bravely go where I’ve never gone before and recycle the phone book the day it arrives (you heard me right–from my doorstep to the bin). So liberating! Because I can find T J Maxx by looking in my magic phone, which will then give me magic directions. And sometimes when the stars are in alignment the GPS lady will even speak the directions out loud! Sometimes we have a fight, and sometimes one of us curses…but she’s working on it. Needless to say then, but I’m sayin’ it anyway, I’m kind of a dork. I’m way behind the times when it comes to social media. The fact that I even have a (new) blog is a wonder to me. I do have Facebook. And I’m now “Linked In,” (whew, what a relief!) I don’t tweet and I don’t Instagram. Too much, too soon, people! Technology is a modern miracle though. I can FaceTime or Skype with my favorite (only) grandson. See him in real-time, doing what he does. So I’m there for the dailies. His world started out with technology, so if you hand him a phone he will look at the screen and start a toddler conversation, waiting for a talking head to appear. (not the cool singing kind) When my youngest son was on a mission for two years, email on Mondays was a blessed thing! I experienced the same sense of anticipation that I had getting a letter from my grandma while I was growing up. So in the words of a favorite song from Napoleon Dynamite, yes, I love technology. (It’s just not the same without Kip singing it.) My beef with technology is of a human nature. 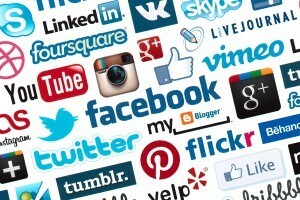 As in: it is human nature to use social media to share and over-share, boast and brag, criticize and critique, politic and propaganda behind the “curtain” of anonymity that technology affords. And with that chocolate mess comes addiction. Not only addiction to posting everything from the mundane to life’s glories, but an addiction to tuning in every day like a soap opera to see what everyone else is doing, saying, reading. So we become voyeuristic about our lives. Peeping and stalking toms of the Internet. That’s not healthy. That’s not social. And most of what’s out there is not even media! 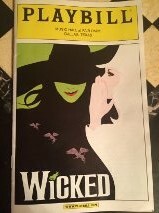 My daughter and I saw the wonderful play Wicked. In the play, Glinda the good takes on unpopular roommate Elphaba as her new project. As she warbles out a catchy tune called pop-u-lar, in her own do-gooder way Glinda is trying to sell Elphaba on the merits of conformity. The rah-rah-cheerleader, beauty queen, superficial-worlds view of popularity. Elphaba doesn’t fit the mold. She’s a braniac, she doesn’t so much care for others opinions of her, and oh, yes, she’s green. There is that. So to blonde, effervescent, pink-forever Glinda, she must somehow be “wrong.” Glinda is good. She is well-intentioned. She wants Elphaba to be the “right kind” of popular, “her” kind. She just doesn’t get that Elphaba is exactly who she is supposed to be. It’s okay to be an Elphaba, and it’s okay to be a Glinda. The who’s who of social media would pressure us otherwise. As Glinda-like posts roll across our feed, there are lots of Elphabas out there. Although not necessarily malicious in intent, posting personal, embellished, pseudo-glamourous details of daily life makes it a social-media popularity contest- just like high school, only it’s NOT real life. But it does create real-life problems. It can be exclusive, rather than inclusive. Instead of feelings of connection and self-worth, it can warp into self-involved and disconnected. As selfies and parties and sleepovers and activities are paraded out day after day it can lead to feelings of inadequacy, depression, and sadly, bullying. In the hit musical, Glinda sings to Elphaba, “You’ll be popular-Just not quite as popular as me!” and that sums up much of what is wrong in the world of social media. The lie that for you to be successful, someone else has to be less-than. The lie that the right clothes, car, school, job, or popular friends are most important in the big scheme of things. The world lies to us. But we know better. Wicked is the sister story to The Wizard of Oz. 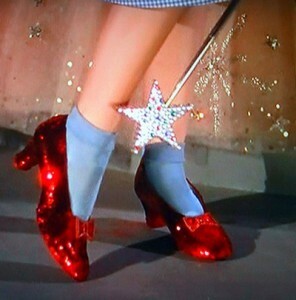 Dorothy took quite a journey, only to realize she always had the power. The lion, scarecrow, and tinman learned the same thing. They were enough all along. They just had to believe it. On the other hand, the “wizard” who wielded all the power in Oz, turns out to be just a man behind a curtain, a grandiose man with no real power whatsoever. Smoke and mirrors. There is much out there in social media that is good. I love being able to re-connect with old friends, and share in festive moments like new babies, graduation pics, weddings and other milestones. I enjoy blog posts, uplifting sentiments, recipe shares, and silliness on Facebook. I like grumpy cat and clever meme’s and life hacks. I am so grateful I didn’t grow up with the added pressure of social media where it is easy to feel measured and found wanting. Blue, stop-sign-shaped glasses, acne, braces, and a white-girl fro would not have survived Facebook scrutiny, I’m afraid. Oh, and did I mention the head-gear? Recently, I coined my own phrase for all the hoo-hah and hullabaloo on social media. I call it “post dramatic stress disorder.” The “disorder” being that as folks “post” their “drama” I am “stressed!” There is a remedy for my problem. I’m just three-ruby-slipper-heel clicks away from a social media vacation. Unless there’s a flying house, in which case, you know I’m taking a picture and posting it on Facebook!